This panel for a handscreen was originally mounted on a carved bone handle. It is one of a pair, and is dated 1718. Handscreens were designed to screen a woman's face from the heat of a domestic fire. They would usually be kept in pairs, at the ready, by the mantelpiece. 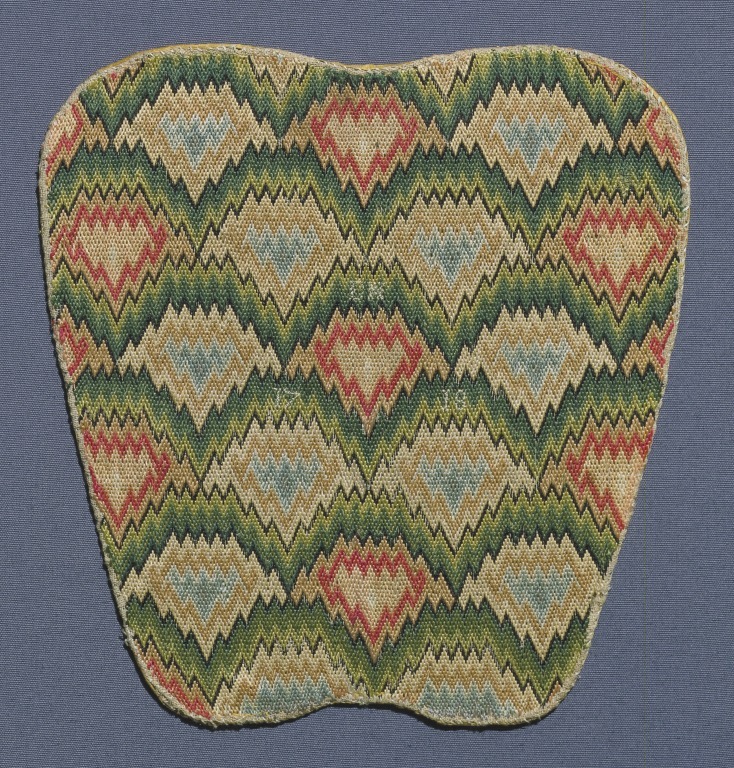 Handscreens are typical of the type of small furnishing or dress accessory that might be decorated with silk embroidery by a woman at home, either for her own domestic use or to give as a present. Handles could be bought separately, on which the embroidery would be mounted. 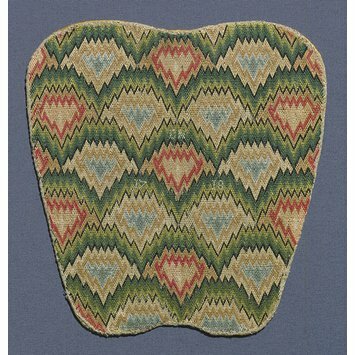 A flame stitch embroidered handscreen.